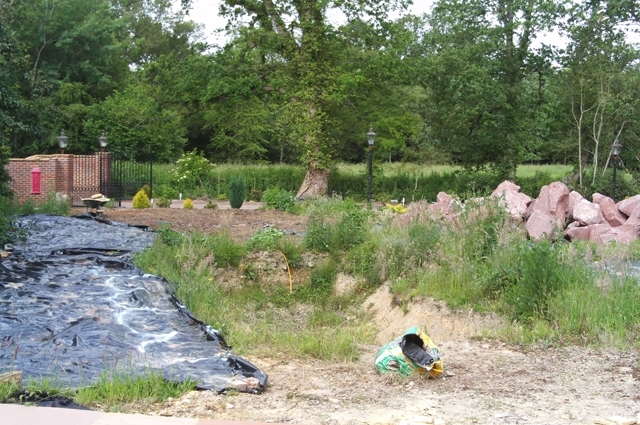 To install new pond and new lawn. 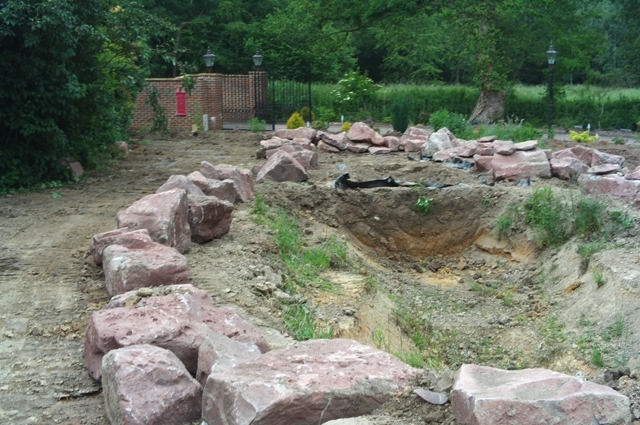 First job here was to dig the pond and level the site, then to bring in the stones and position them around the pond, the biggest stones being about a ton in weight. We then lined the pond and filled with water. 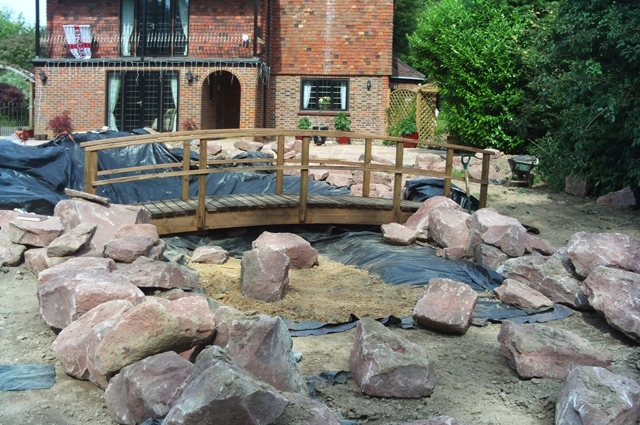 The bridge was then added. 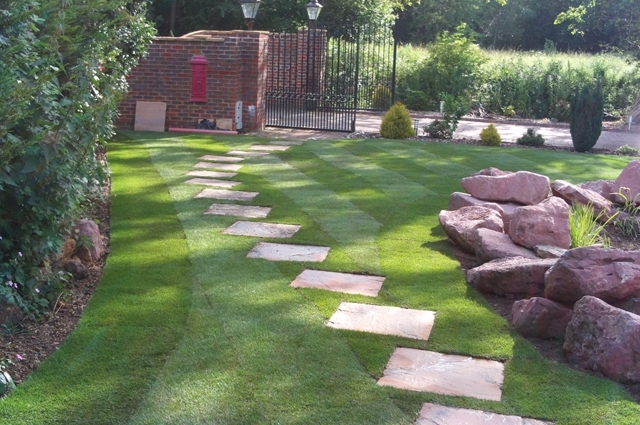 The ground was then prepared for turfing and the stepping stones placed out. 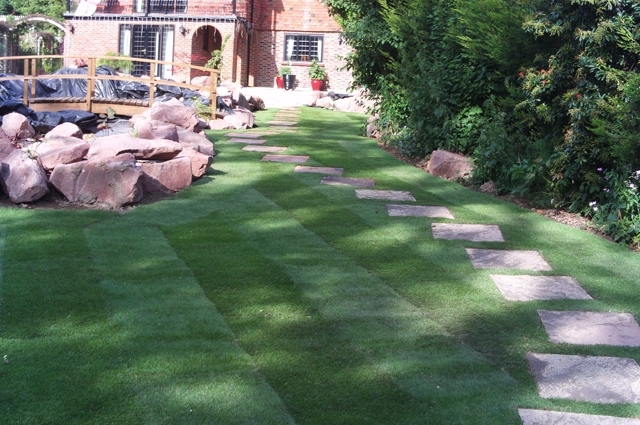 We laid the turf in high temperatures (very Rare) so had to make sure it was watered constantly as soon as it was put down.